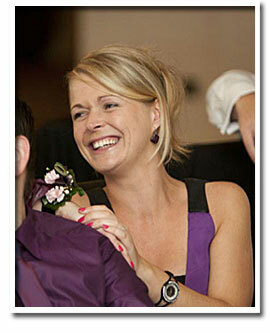 We are the original Flowers Same Day florists, established in 1988. As a family run business we are very proud of our roots and our drive has always been to offer our customers the very best in service and quality. Our skilled florists are trained to a high standard and achieve industry recognised qualifications as part of their personal development. With a solid core of florists and customer service staff we have managed to develop a strong team that contains experts in wedding floristry, funeral tributes corporate displays and flower arrangements for all occasions. All our flowers are hand delivered direct from a florist shop that coveres the local delivery area - we do not use postal or parcel courier services. A large part of the enjoyment of receiving flowers is the arrival at a home or work address of the florist van and the flowers being handed to the recipient. Every arrangement is hand made to order in one of our own shops or partner florists throughout the country. The price you see is the price you pay. There are no hidden charges on our site all products are priced and the only thing to add is the delivery charge which is also clearly shown. You WILL NOT be hit with an additional fee for using a credit or debit card. Our customers were not only looking for local deliveries. We have always dealt with delivery requests for the whole of the UK and beyond and as a member of the worlds best known florist network we have built up a excellent group of like minded florists all governed by the same high standards and with a global pricing matrix. Many of the members of our parent network don't have access to the techical skillsets needed to manage and promote their internet entities to maximize the kind of presence needed in todays fast paced online high street. They are expert florists not cuting edge web developers. This can lead to national 'flowers-in-a-box' companies delivering orders made up in factory type units and transported by parcel delivery companies (often hundreds of miles) to areas that they could cover themselves. 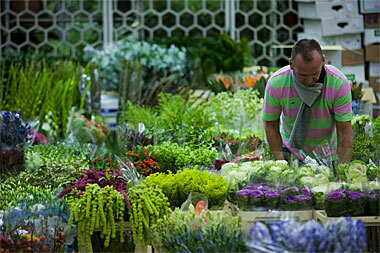 Local florists typically source their stock from a range of wholsalers, suppliers and flower markets close to them. Flowers Same Day aim to support local florists as much as we can. We now have a brand new office in Cumbria where we control our website with a small in-house development team. This is also the hub for all our web and telephone traffic. Our office staff are knowledgable and always on hand to help with placing orders. If you have any special requirements they will liase directly with the shop delivering your order or pass on contact information to allow you to deal with the preferred florist in whatever area. To see a list of all florist locations see our Store Locator. If you would like to call into your local florist and place an order or simply want to buy your flowers to take away we will be more than happy to help you find a network member / preferred florist that is close to you - it's all part of the service. Our entry into the online world took place back in 2001. We started out with one simple approach - 'lets make ordering flowers using the internet as easy as possible'. While many companies have used the internet to reduce overheads and increase productivity by 'automating systems' and 'reducing direct customer contact' we have adopted a totally different approach. We understand that our customers want the facility to contact us at any time, so you will find a contact number at the top of every page which connects you to one of our friendly members of staff (shown on the left of the page) based in our Cumbrian telesales office. We also use a live chat system that has proved to be very popular and a customer contact form allows email conversations (we have a reply as fast as possible policy for all email correspondance, usually within an hour). Security and privacy are very important. All secure data transmitted via our website is encrypted to industry standards. Payments are processed via the SagePay payment gateway ensuring your card details stay secure. None of your card data is transmitted to us and the only information we get is if your payment was successful or not. As for email address and other personal information - we would never pass your personal details to a third party and we do not have a mailing list so you won't get any marketing emails form us!. Our belief is that the foundations of any retail business are based on the relationship with it's customers and this has never been as pertinent as now. Sadly we here with all too much frequency the names of major high street stores struggling to survive the tough economic conditions. However, this has meant that it has been possible to reap the fruit of the seeds sown over a very long period. Our goal to always provide the best service we can has paid dividends and our solid customer base has stayed loyal and returns to us again and again. For that we are truely grateful! What stands us out from the crowd is the way we offer our customers a choice of ways to order. Our website is hugely successful and allows customers to order securely online 24 hours a day combined with a telephone order service. If you feel the need to call us you can speak to one of our knowledgable office staff who have direct contact to all our florists to allow them to answer any questions you may have. From time to time things can go wrong - yes we are being honest. But, this is when we feel good customer service comes to the fore. If you are not satisfied with the quality or value of your flower order we will go out of our way to ensure that we correct any issues to your complete satisfaction. Our friendly members of staff have all the knowledge to answer just about any questions you may have and here are their pictures so you can put a face to the voice on the telephone!